What does community prevention look like? 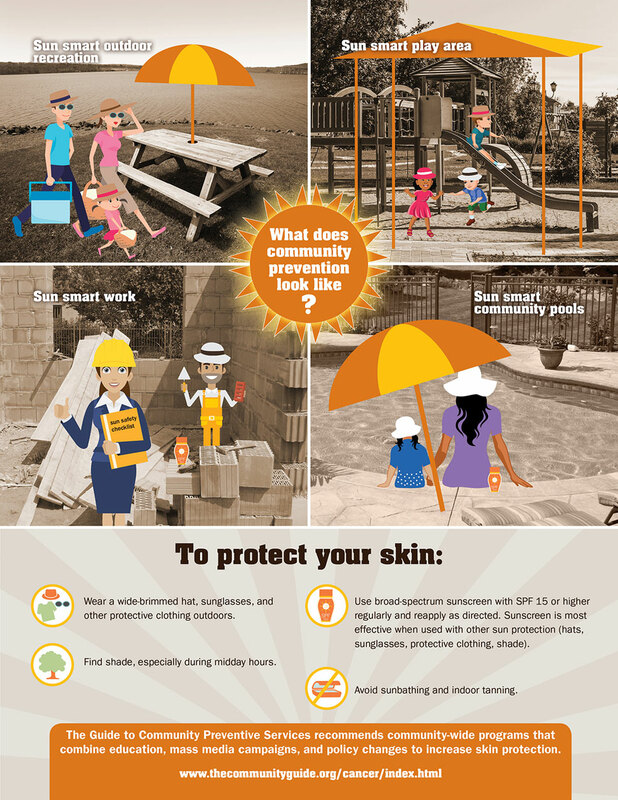 What does community prevention look like Sun smart play area ? • Wear a wide-brimmed hat, sunglasses, and other protective clothing outdoors. • Find shade, especially during midday hours. • Use broad-spectrum sunscreen with SPF 15 or higher regularly and reapply as directed. Sunscreen is most effective when used with other sun protection (hats, sunglasses, protective clothing, shade). • Avoid sunbathing and indoor tanning. The Guide to Community Preventive recommends community-wide programs that combine education, mass media campaigns, and policy changes to increase skin protection.